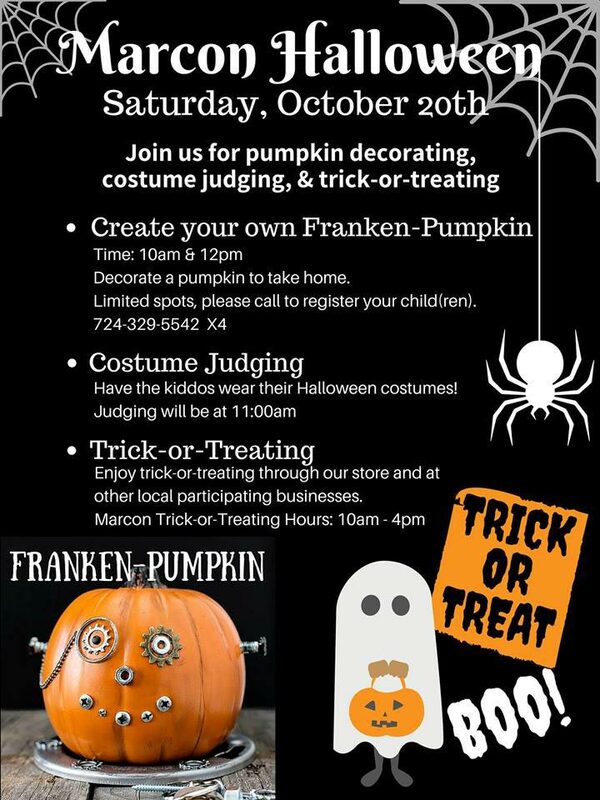 To grab excitement from the community and help spread the word about the event, Marcon Building Supply created a flyer they shared on social media and with the local businesses that participated in trick-or-treating. 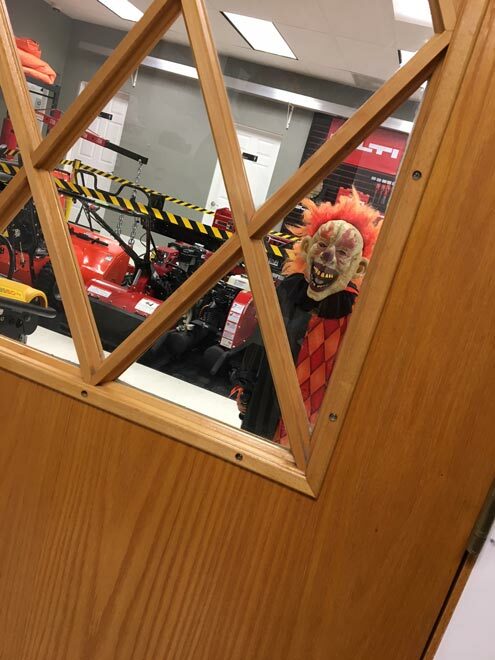 Ahead of the Halloween event, co-owner and vice president Jennifer Margroff and hardware store manager Autumn Shunk worked to get the store ready outside and inside. 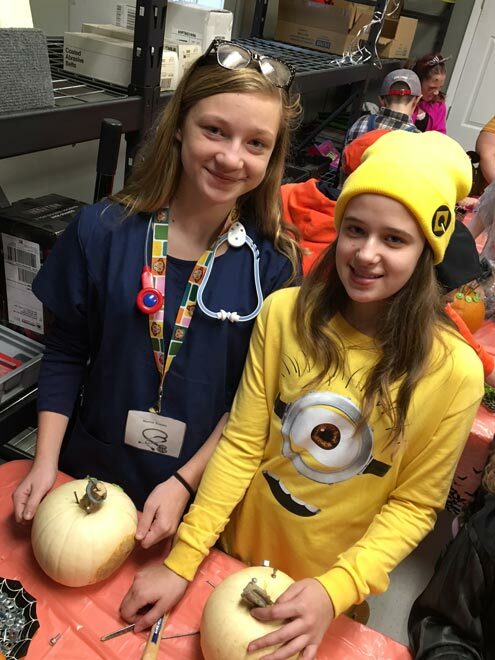 Autumn Shunk (left) and Jennifer Margroff worked closely together leading up to and during the Halloween-themed event. 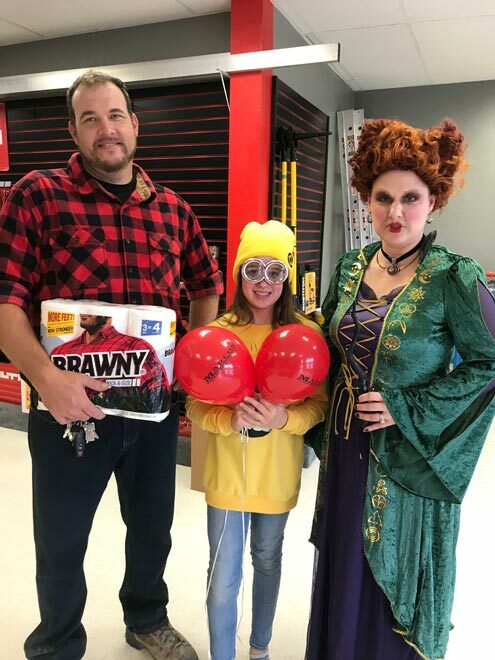 Owners Jubal (left) and Jennifer enjoy hosting kid-friendly events, especially since it allows their daughter Liz (middle) to be apart of the festivities. 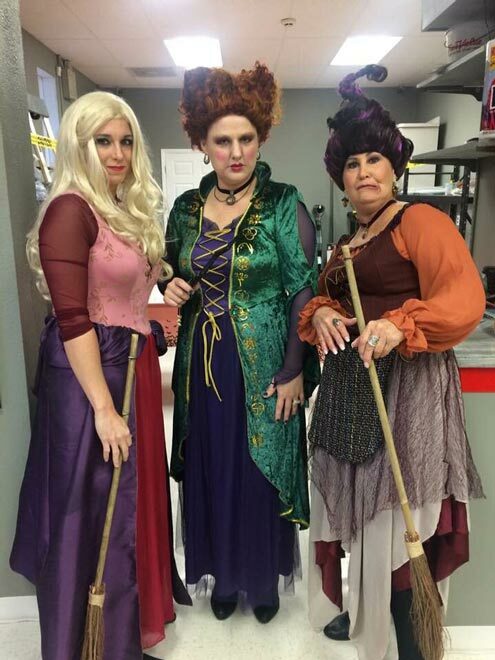 Margroff (center) dressed up as Winifred, one of the three Sanderson sisters from the movie "Hocus Pocus." Office manager Stephanie dressed up as Sarah (left) and employee Joanne dressed up as Mary. While the movie was popular in the 90s, many of the kids at the event had recently watched it and were excited to meet the Sanderson sisters from the movie. 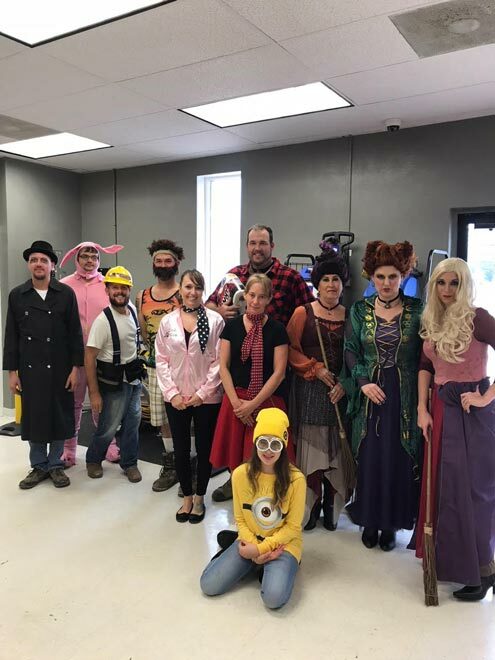 The entire team dressed up for the day during the Halloween event, getting into the spirit of the holiday. 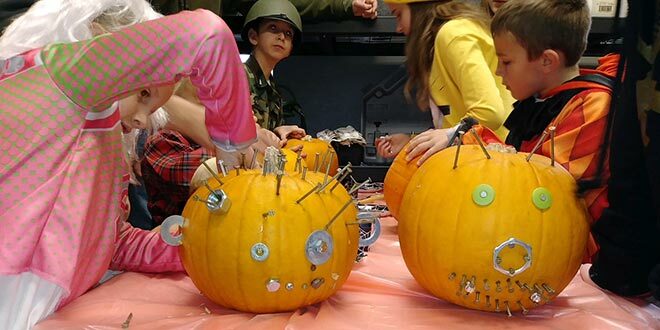 To tie together hardware and Halloween, the store invited parents to help their children create Franken-Pumpkins using nuts and bolts from the hardware store. The costume portion of the event was very popular as well. One of the winners was this clown, who took the prize as the scariest costume. 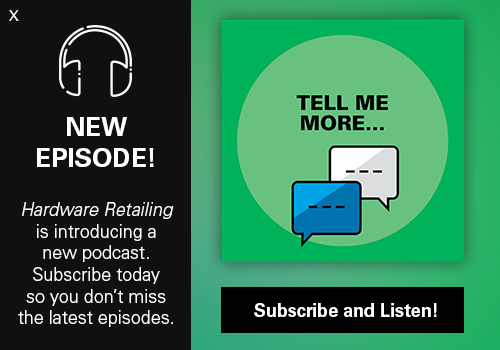 In Markleysburg, Pennsylvania, local businesses came together to put a spell on shoppers just in time for Halloween. 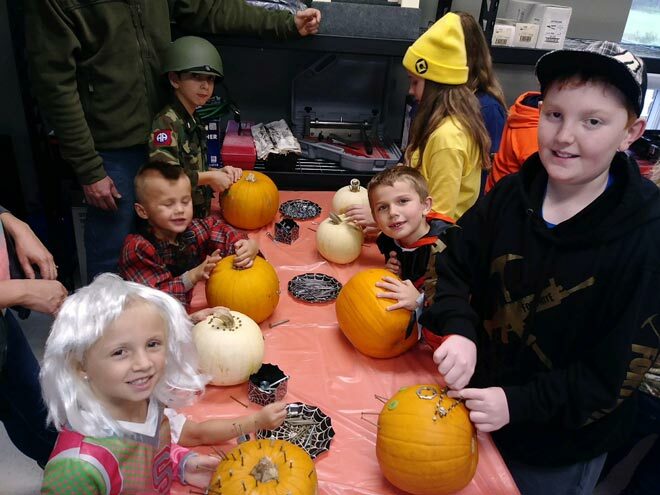 On Oct. 20, Marcon Building Supply hosted its first Halloween-themed event to bring customers of all ages through its doors, meet the employees and bring the community together. 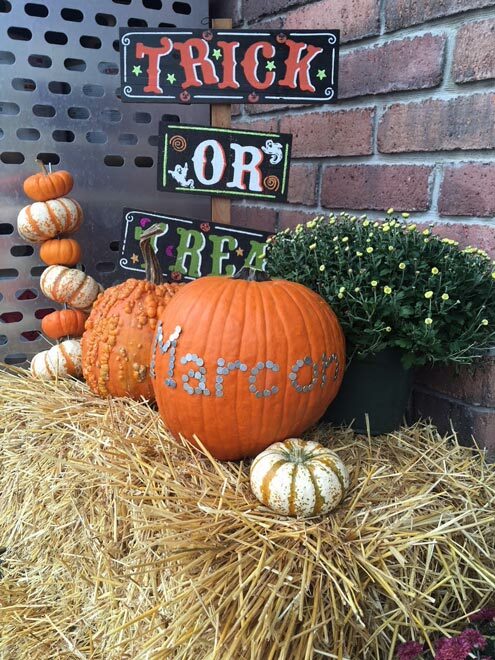 From organizing a trick-or-treating event that featured a variety of local businesses to providing fun activities for children to participate in at the home improvement business, leaders of Marcon Building Supply worked with their community and employees to make the event something customers would remember for years to come. 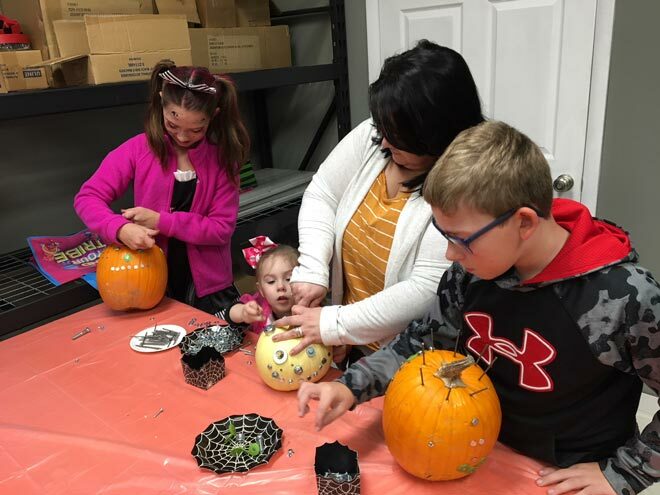 As the second major event hosted at the store since new owners Jubal and Jennifer Margroff rebranded the business, the Halloween-themed festivities mark a fresh focus on community involvement that the business hopes to continue in the years ahead. 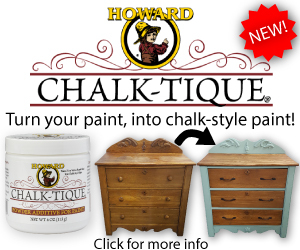 The event was planned and rolled out by co-owner and vice president Jennifer Margroff, the store’s manager Autumn Shunk and fellow employees Stephanie, Dana, Jamie and Joanne. 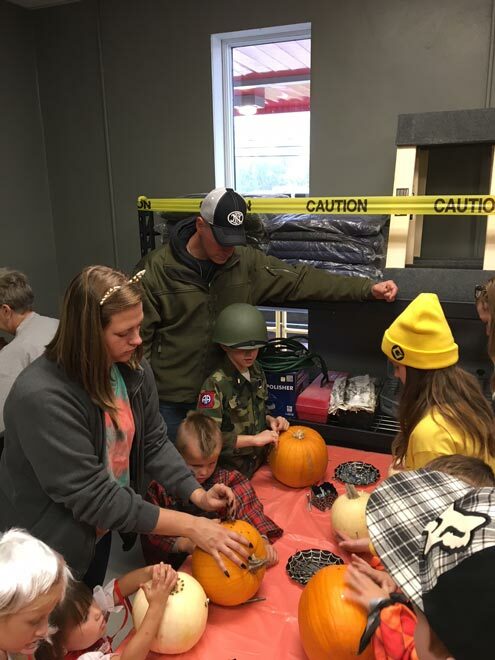 The team says community events like this Halloween bash bring families to the business and become celebrations local customers look forward to each year. 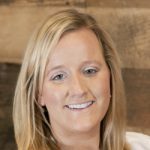 For the past three years, the Margroffs have owned and operated Dennis Lumber, but recently, they decided to rebrand the business to Marcon Building Supply, Jennifer Margroff says. 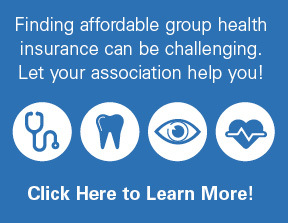 With that name change, they wanted to make sure the community knew the company was still open for business. 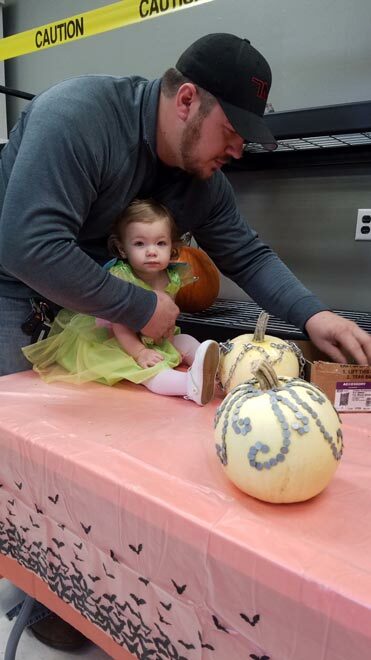 Margroff and Shunk worked closely after the September event to create a plan for their Halloween celebration. 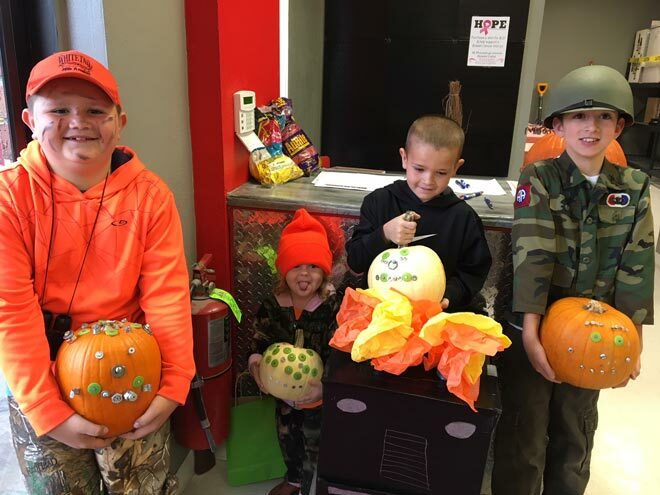 In addition to organizing the trick-or-treating event among various small businesses, Marcon Building Supply hosted a Halloween costume contest and hosted a pumpkin decorating activity for children that utilized tools found in the store. 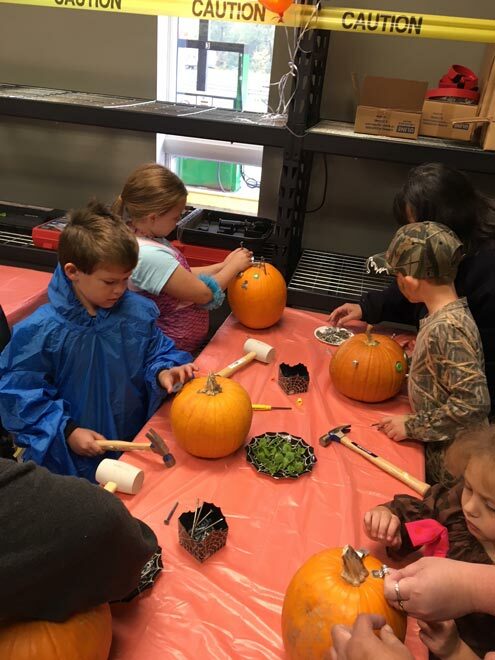 Children got in the Halloween spirit by creating Franken-Pumpkins alongside their parents and store employees. Both Margroff and Shunk agree it wouldn’t be Halloween without dressing up! 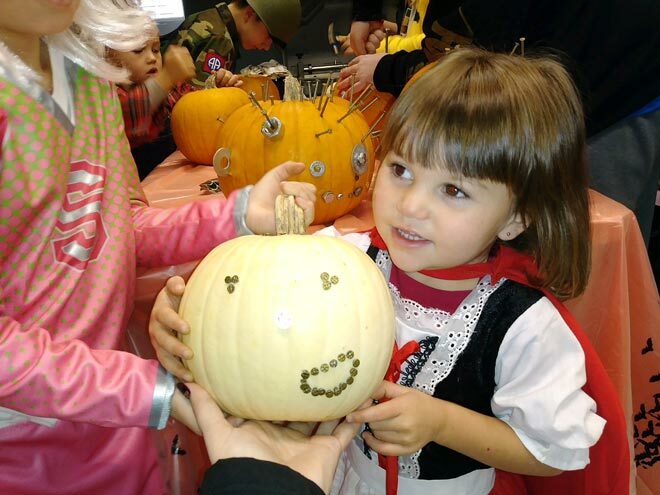 During the event, the store encouraged all kids to participate in the costume contest. The judges included Margroff, her daughter Liz, her sister-in-law Heather Margroff and employee Joanne Wilson. They chose from a variety of different categories, including the cutest costume, best group costume, scariest costume and more, Shunk says. 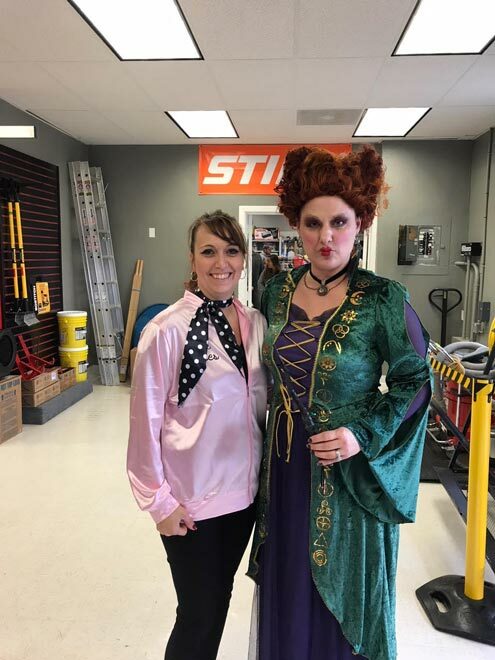 All of the employees were asked to dress in costume during the day, which Margoff says is just one example of how the management team strives to make an exciting, energetic environment at Marcon Building Supply. Now that Halloween is behind them, Shunk says they’re already working on plans for a holiday-themed event this December.